Whoa, it's been ages since I posted pictures of the latest arrivals in my collection. Today's batch is rather attractive, making me feel like taking a photograph for the first time in a while. 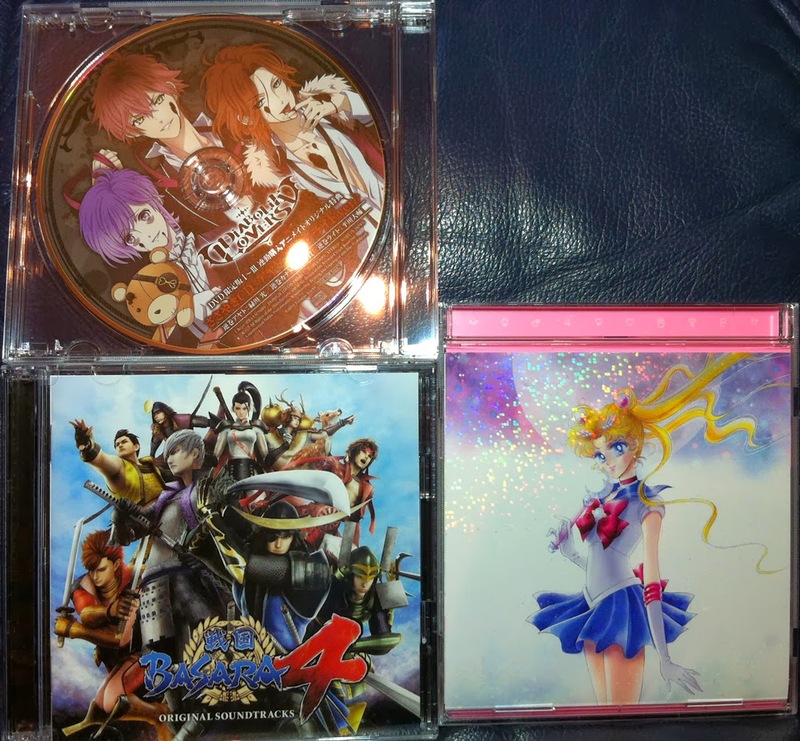 First up, two long-awaited CDs: the Sengoku Basara 4 Original Soundtrack and Bishoujo Senshi Sailor Moon: The 20th Anniversary Memorial Tribute. The first needs no introduction but the second is wonderful trip back in time to my youth with modern anison performers such as Yakushimaru Etsuko and Momoi Haruko covering classic Sailor Moon theme songs. I really got a kick out of this CD even though not all of the reimagined songs work as well as the originals. The third CD ties into the next photograph. My keen interest in Diabolik Lovers has continued to spiral out of control, so here are the first three Japanese special edition DVD sets complete with the first of Animate's bonus CDs (I have to buy the next three volumes too to get the other bonus). There isn't much video content in each set with just two 14-minute episodes per volume. The sparse footage is complemented by a ton of extra content though, with audio dramas, video clips, gorgeous artwork and a few physical bonus items - so as long as I don't think about how much they cost, these sets were a great deal! The audio dramas have the characters discussing the events which took place in the anime, and the new song is gorgeous too. It's interesting to hear it performed by a different brother for each volume. 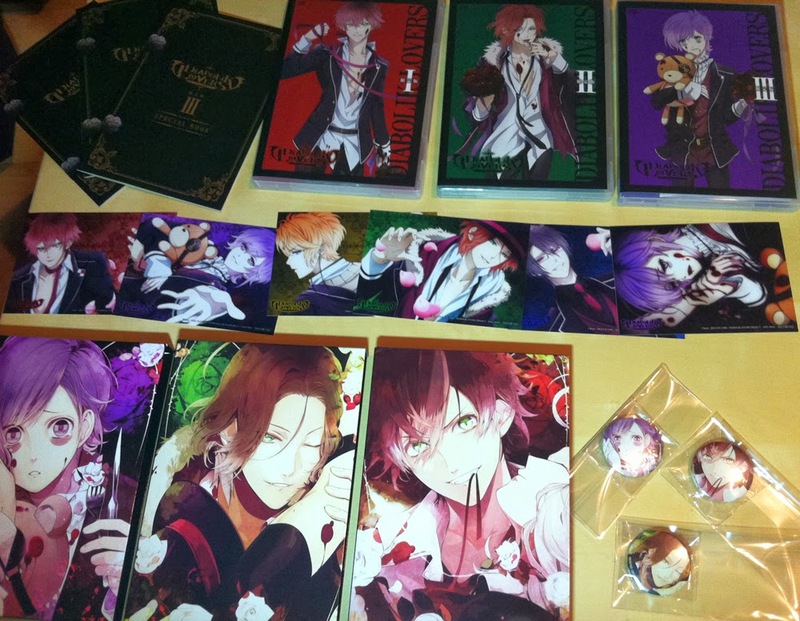 Oh I want yours Diabolik Lovers DVD's! I have question to you. Can you tell me all titles of song which are on 1st DVD as soundtrack?